Creating your own advertising travel posters doesn’t have to be difficult and time-consuming. 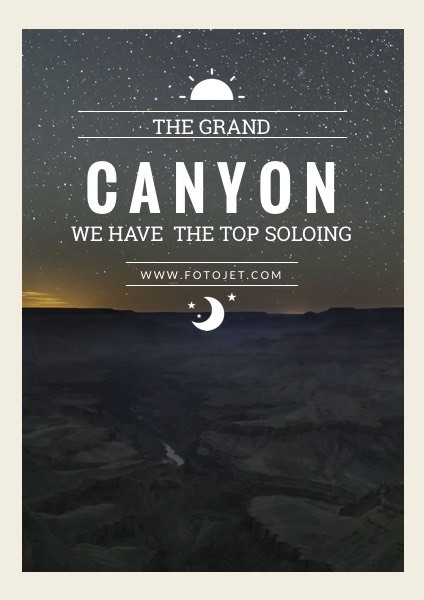 You can easily propel effective posters for the grand canyon tour with this customizable poster template. Simply add in your own details to finish the design. You may also opt to choose other photos to make posters for other adventure travel tours. With the easy-to-use tools, this template provides many editing possibilities for you.